. "Bookselling". The Canadian Encyclopedia, 07 March 2014, Historica Canada. https://www.thecanadianencyclopedia.ca/en/article/bookselling. Accessed 22 April 2019. The earliest booksellers in Canada were Jean Seto and Joseph Bargeas, who in the 1840s and 1850s operated out of Montréal, importing books "for the gentry, the merchants, and the garrison: that is, a small middle and upper-middle-class readership. The earliest booksellers in Canada were Jean Seto and Joseph Bargeas, who in the 1840s and 1850s operated out of Montréal, importing books "for the gentry, the merchants, and the garrison: that is, a small middle and upper-middle-class readership." The earliest English-language bookseller was James Rivington of Halifax, who began operating in May 1761. In North America generally, early booksellers also acted as printers and binders. H.H. 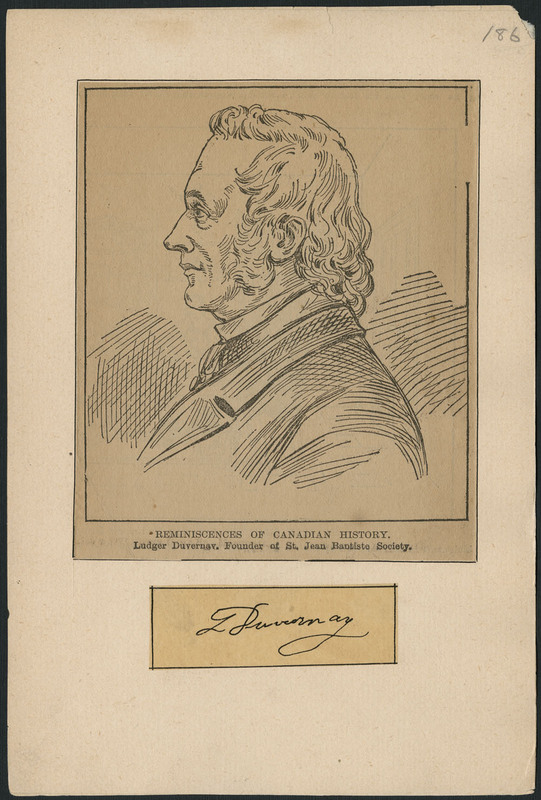 Cunningham of Montréal was the only colonialist bookseller to aspire to be a publisher. He issued John Perrin's The Elements of French Conversation in 1810 and other works, including The Canadian Review and Magazine (1824-26). Later, other booksellers also began publishing. The first trade bookseller in Toronto was Thomas Maclear, who came to the city from Blackie & Son of Glasgow in 1842. He bought a retail bookstore and attracted some leading writers to his house, including Susanna Moodie and Catharine Parr Traill. Booksellers in Canada during the 19th century usually purchased their books from 3 sources: directly from British publishers, from American printers of "pirated" British books (often sold at a fraction of the price of the British editions), or from Canadian printers who pirated British works or reproduced them under licence. Beginning in the 1850s booksellers in Montréal and Toronto began to act as wholesalers (agents) for UK and US publishers, distributing the agency lines to local and country booksellers. By the 1860s some booksellers were also starting their own publishing ventures. The bookstore market was eroded during the latter half of the 19th century by the expansion of the railway and the opening of "railway stalls" where books were sold. And in the 1880s and 1890s several bookstores were driven out of business when the large department stores - Eaton's and Simpson's - began selling books as loss leaders (a development which parallels competition from chain booksellers today). No official figures exist for the actual number of retail bookstores in English Canada today. There are at least 2000. Of these, about 605 are independently owned, 466 are members of a chain operation, 127 are college or university outlets specializing in texts and scholarly books, 290 are religious bookstores, and approximately 319 are retailers who sell books as a sideline. About 45% of these stores are located in Ontario, by far the largest market for new books in Canada; BC has about 25%, and the Prairie region, perhaps 20%. The remaining 10% of the English-language stores are thinly distributed throughout the Maritimes and Québec. The exact size of the retail book industry is unknown, but it has been estimated as high as $1.3 billion. The selling of educational books (textbooks and learning aids) is left almost entirely to college and university outlets. Most booksellers are concerned with what are known as "trade books," which are sold by publishers to booksellers in hardcover or paperback format and which cover any subject - novels, biography, cookbooks, self-help, art, etc. Trade books have been categorized as books that people do not have to buy for educational or professional purposes, though some trade books do find their way into the educational market. Specialization is increasing among Canadian bookstores and it is common to find a bookstore devoted entirely to science fiction, cookbooks, theatre books or some other specific subject. Most Canadian booksellers rely to a great degree on imported - mainly American - books for their sales. About 70% of all books sold in bookstores in English Canada are of US origin; Canadian books account for about 20%, and the rest are mainly British. Canadian books comprise a vital and positive element in bookstore sales, often monopolizing the fall and Christmas bestseller lists and making the difference between annual profit and losses for the book retailers. The great majority of American and British books purchased by Canadian booksellers arrives through exclusive Canadian agencies or the Canadian subsidiaries of foreign publishers. Virtually all US or UK publishers of any size have either a Canadian office or an agency arrangement, though a few booksellers do buy their foreign titles directly from the US or UK wholesalers. There are virtually no Canadian wholesalers selling to booksellers except in the mass-market field, where some booksellers prefer to deal with a local wholesale supplier. Canadian titles are bought from the publishers, who either have a Canadian publishing program as well as agency (US, UK) lines or devote themselves entirely to the publishing of Canadian books. The Canadian Booksellers Association, founded in 1957, has a healthy and steadily growing membership of about 1200 (1996). It also offers associate nonvoting memberships to publishers and agents. Each year in June, a large and lively annual convention takes place, along with a trade fair at which publishers display their new titles in preparation for the major fall and Christmas season. Booksellers from across Canada make many of their buying decisions during the CBA trade fair. In 1985, when WH Smith bought Classic Bookshops which was in financial difficulty, it left about 50% of the market's purchasing power in the hands of 2 companies. The late 1990s saw a greater threat to the independent booksellers with the advent of "big box" discount chain bookstores such as Chapters and Indigo. Independent booksellers, which have traditionally been the primary supporters of Canadian-authored titles, fear that the power of the chains will result in even greater disparities in trading terms, with greater margins being awarded to the chains. The greater the margin advantage the chains have, the more they are able to offer discounts to the public which the independents cannot match. If the trend results in fewer independent bookstores, it is expected that the variety of books available to the public will decrease. On the other hand, the 2 large chains have rapidly increased the number of bookstores in Canada and have often provided outlets in communities without bookstores. The Internet created a new kind of corporate book conglomerate in the 1990s. Web booksellers such as the extraordinarily successful Amazon.com allowed readers to order books directly from their own home, often at discount prices, putting even more pressure on smaller retailers. Throughout the history of Canadian bookselling major battles have been fought over taxation or duties on books. Since the 19th century booksellers have opposed a "tax on knowledge." In 1987, a 10% tax on imported books was reinstated during a trade dispute with the US and then eliminated after a media outcry and efforts by the book industry. The publishing industry and the reading public mounted a campaign against the inclusion of books under the Goods and Services Tax, fearing the added cost would limit book availability to the public, but with no effect. In order to preserve Canadian sources of supply for books, the book industry, with the active participation of booksellers, has moved to introduce an electronic ordering system for the trade. The purpose of the system is to ensure that it is more efficient for Canadian booksellers to purchase books from Canadian publishers and Canadian agents of imported books than it is from US-based wholesalers (who do not carry Canadian titles) or directly from US publishers.